For many years “SPHERE” Travel Company has been arranging seminars and other incentive programs on the grounds of Sochi hotels and SPA hotels. In the presented catalog you able to become acquainted with technical specifications of meeting halls and their equipment. 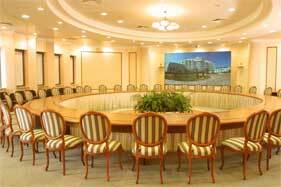 Our company offers assistance in arranging seminars in Sochi and assistance in choosing a location depending on the planned event and the customer's financial budget.